TMAG welcomes students to explore The Remarkable Tasmanian Devil, and has prepared a range of programs and resources for teachers to help bring this exhibition to life. See below for more details. 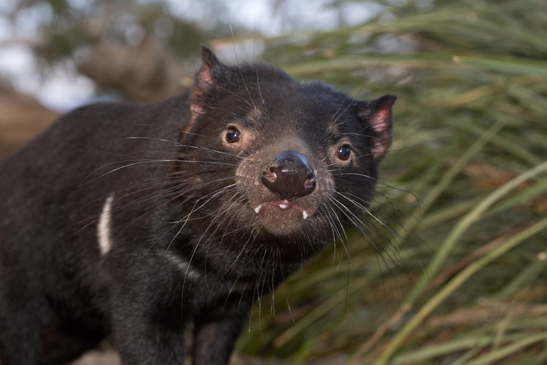 School groups from Kindergarten to Grade 10 are able to book in for a one hour tour of The Remarkable Tasmanian Devil led by a dedicated TMAG natural science educator. This tour is delivered either on site as part of your visit to the exhibition or via a virtual tour hook up from your classroom. Explore the question, why is the Tasmanian devil ‘remarkable’? This program is for school groups only and bookings via the TMAG website are essential. A resource to support self-guided visits to The Remarkable Tasmanian Devil, exploring the themes contained in the exhibition. A resource available for teachers with primary school-aged groups to borrow when visiting TMAG. The Teachers Backpack contains age-appropriate devil information and resources for group learning as part of a visit to The Remarkable Tasmanian Devil. Available to book via the TMAG website as part of a self-guided school visit booking. Gain a sneak peek at the exhibition in this preview video for teachers, presented by John Retallick from TMAG's Public Programs and Learning team. This page was last modified on 5th February 2018.